Street Fighter V, Marvel vs Capcom 3, Smash Bros , Guilty Gear Xrd, Pokken Tournament. What do all these games have in common? They all have big followings. They command the highest level of competition from players worldwide, and are the faces of major fighting game tournaments year round. They're all well-commentated eSport events as well. While watching, you don't need to go far to hear a well-informed voice. Commentators are very much part of the viewing experience. They serve as harbingers of hype, tactical analysts, player interviewers, and etc. They help complete the show. We got the opportunity to interview a well-known Street Fighter commentator, James "Chensor" Chen. James is one of the founding members of the commentating group UltraChen, and has been part of the fighting game community for some time now. So we discussed the rise of fighting games, the people behind it, and more. What would you say it is about fighters that appeals to so many people of different backgrounds? 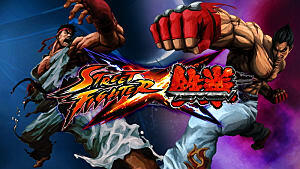 James Chen (JC): It's arcade culture that's continued to bleed forward until today. Back in the day, one of the least expensive ways to spend a day was at the arcade, and as a result this naturally led to popularity amongst people of lower economic classes. And in the U.S., unfortunately, this generally tended to favor non-white ethnic groups. So as a result, arcades, and thusly Street Fighter, became a popular place where many Blacks, Mexicans, Asians, and other ethnic groups gathered to play games. That general culture has never really left the scene, and now the varied representation helps continue to propagate itself into the FGC despite arcades basically being extinct. James mentions a very interesting fact about the fighting game community. The community built itself around and "anyone is welcome" attitude. If you tune into any tournament, you'll see players that represent all walks of life. And though the community continues to grow, if you were to join today, it would still be relatively easy. The radical inclusion of the fighting game community thankfully has not changed after its growth all these years. 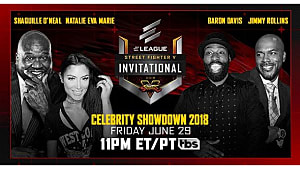 Did you ever imagine as a fan that fighting games would ever get this popular? Being able to command such large stages and venues? JC: I mean, we joked about it a long time ago. There's a scene in the Bang The Machine documentary where Alex Valle is marveling, back in the late 90's, that Japan has tournaments in big venues and such. To be honest, I had always believed that maybe we could get there someday, but I honestly thought it would happen maybe when I was old and grey and even past my time. This eSports boom has really surprised me. The eSports boom he refers to began in the early 2000s. At that time, global tournaments among many games were being held worldwide. Events were also being televised across cable channels both domestically and internationally as well. Fighting games during the time were on the fringes of recognition. This of course belittled the level of competition and audience they commanded at the time. Eventually they found their place to be synonymous with the word eSports. 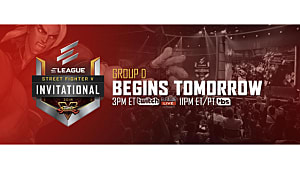 It took some time before fighters were recognized as legitimate eSports. What helped paved the way to that recognition? JC: Nothing. 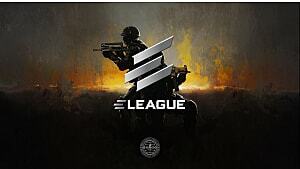 Frankly, we were always a legitimate eSport, it was just that we didn't want to play by the standard "eSports" game and join leagues like MLG and such. What makes a game genre a "legitimate" eSport anyhow? Prize money? Twitch viewers? To me, it's about having the people there who want to compete. So we were technically legitimate since 2000, when B4 took place. The main thing is that the FGC has grown more organically, and is relying upon itself to sustain itself. And I like that a whole lot. I'm glad the FGC isn't a big single governing body unit being controlled by some higher up power. 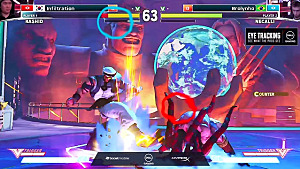 The FGC really emphasizes the "C": Community. James does address an interesting question about what makes an eSport. Based on the definition alone, fighting games have been eSports for years. Let's examine B4 briefly. B4 was part of the Battle by the Bay tournaments which eventually became the Evolution Championship Series (EVO). B4 had everything that major tournaments have today -- an audience, the players, the strong competition, and etc. The people organized the tournament, encouraged players to attend, and last but not least welcomed newcomers to join. Sponsored players, company support, ESPN coverage, and so forth came afterwards. The people behind it always remained. So, the reasons why fighting games took time to seen as "eSport headliners" are ultimately unimportant. They've been legitimate for years, and the only fundamental difference is that now the world is watching. For a commentator like yourself and the UltraChen crew, what is something about your job people would be surprised to know? JC: That it isn't actually a job yet. Hahaha. Most FGC commentators do it in their spare time, mostly for fun. Most of us have actual day jobs that we do. A few of us have taken the leap, however, and are trying to make this a real career, but it's hardly sustainable yet without another income supplement. So the ones who are trying are definitely in a starving artist struggle, but hopefully this continues to grow and can become something we can actually do as a career in the next few years. Major tournaments are regularly held everywhere. When you consider the amount of traveling a person must do within a year -- to say that can add up would be quite the understatement. Not to mention the number of international events as well. 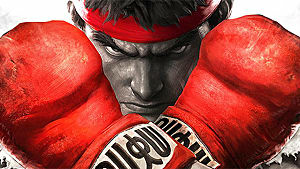 Being a commentator makes you into a world traveler much like Ryu from Street Fighter. Much like a competitor, you stay up to date with character match ups, frame data, etc. How much time would you say you dedicate to this before a big tournament? JC: Depends on the person. Those dedicated to the commentary craft will take the time to study up a bit, but knowing exact numbers for moves, the frame data, is a bit overrated. Really, it's about learning the matchups and understanding the general flow of a match. And practicing how to be as useful to the match as possible. By that, I mean, learning how to stop saying useless things (which we all do, like "Nice Throw!") to learning about character strengths and weaknesses. For me, personally, that involves a lot of playing. I am also trying to up my watching regimen as well, but for Street Fighter V I learn the most while playing different characters online. It makes a big difference when you put yourself in the shoes of certain characters. You really start to understand what players are looking for when using, or fighting, that character. Commentators have various degrees of how they'll break down a match. They vary from technical, direct, and entertaining. Finding that balance understandably takes time and practice. But good, balanced commentary improves the viewing experience. James and UltraChen as a whole have that balance, which makes them regular favorites during streams. Regular tournament viewers are very familiar as to why you love to commentate. But for those who don't know, what do you love most about commentating? JC: I just like trying to spread the appreciation for the genre, in particular the skill and intelligence to play the game, and the craziness that occurs during a game thanks to seeing how two people fare against each other. I can talk Fighting Games for hours, and on commentary, I get to do that and, hopefully, at the same time teach those who aren't experts what it is that makes these top players so special. When did you first get involved with EVO? JC: I volunteered myself to just being a useful guy with setting up B4 way back when. As each year passed, I just became one of the guys who were reliable to be there and do a lot of the setup and help out with all sorts of different areas, including making trailers and intro videos and being an unofficial photographer/videographer. However, as my commentary role has grown, my ability to continue being a significant helper for Evo has all but diminished. Which is okay because they have a lot of really talented people helping them out now, more talented than I'll ever be in many of those areas. EVO definitely has grown into a weekend look production that relies on the expertise of many individuals. The end result is a well-run event for everyone involved -- players, attendees, viewers, and etc. All those talented individuals helped bring EVO to ESPN this year. Just to put things into perspective, how hard is your job? And how much harder is it during EVO? JC: As I said, I wouldn't even call it a job just yet. And EVO is a bit harder because I'm more tough on myself and I know the audience that's watching is much larger than any other event, which means there are a LOT of people who don't know anything about Fighting Games watching. I really want to turn those people into FGC fans for life. So I have to really work hard to strike a balance between being a technical commentator for those that know the game and a general commentator for those trying to learn the game. What was your favorite moment at EVO 2016 that you saw live? JC: Probably watching HungryBox win Melee. That made me really emotional and I was so happy for him. This moment was very memorable for many at the tournament. Juan "Hungrybox" DeBiedma, after years of being denied won 1st place for Super Smash Bros. Melee. 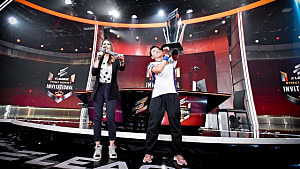 DeBiedma is known as the world's best Jigglypuff player and he came from losers side of the top 8 to become EVO champ. So what's next for James Chen? JC: More UltraChenTV stuff, more commentary. I'm going be working on a lot more content for UltraChenTV Twitch and YouTube channels and I have some personal projects I want to work on for the FGC, but mostly it's going be UltraChenTV content. The four of us on the team are trying really hard to take Fighting Game analysis to the next level, to help people really appreciate what goes into Fighting Games in a way that's palatable to new viewers. If there's a fighting game tournament, James and company won't be far away. They also regularly stream to discuss fighting games and what's happening within the FGC as well. Bonus round: What would you tell someone to encourage them to get into a fighting game? JC: If you're trying to become very strong in a Fighting Game: don't give up. Fighting Games are hard and it really takes a lot of soul searching and learning about yourself to get good at Fighting Games. That's not easy to accept, but understand that everyone, even Justin Wong, started at the bottom. Just because you're good at video games doesn't make you automatically an expert at Fighting Games. It takes work, dedication, and practice. If they're trying to play casually with friends: find good friends who enjoy it as much as you. Try to spread the joy of fighting games to them so they will continue to come back and keep playing with you. Don't be happy if you're just winning and beating your friends all day. Tell them what you're doing, where they're lacking, so you can both enjoy it more. Winning all the time isn't the true fun of fighting games. Having a challenging competitor, at any level, is. If you're trying to just get into it as a viewer: when you watch, try to pick one of the players you are watching to root for and then put yourself in their shoes as the game goes. If they end up doing something that you never would have thought to try and you find yourself surprised, that will help you really appreciate their talents and intelligence. It makes watching Fighting Games more appreciative. Elevating one's game to professional levels is certainly not easy, but it's not impossible. James offers some perspective, and reminds us it's simply a matter of throwing yourself to the wolves. After all, viewing tournaments is more exciting when a newcomer wins, and not the sure bets. We look forward and to seeing (and hearing) James' expertise at work at the next major tournament and his future projects. We hope you do as well.